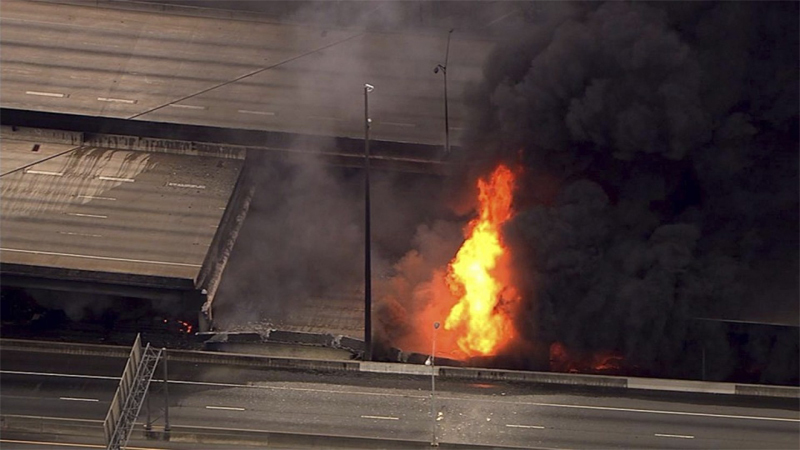 (Atlanta, GA — April 1, 2017) – A 700-foot section of Interstate 85 (I-85) in Atlanta buckled and collapsed from a fire on Thursday. The deliberately-set fire raged beneath an overpass during the evening rush hour, and the resulting damage is sure to cause months of headaches for the estimated 400,000 vehicles which use the roadway on a daily basis. Liberty State Park is in Jersey City (NJ), 860 miles from Atlanta. Atlanta law enforcement officials today announced arrests related to the “maliciously set” fire. 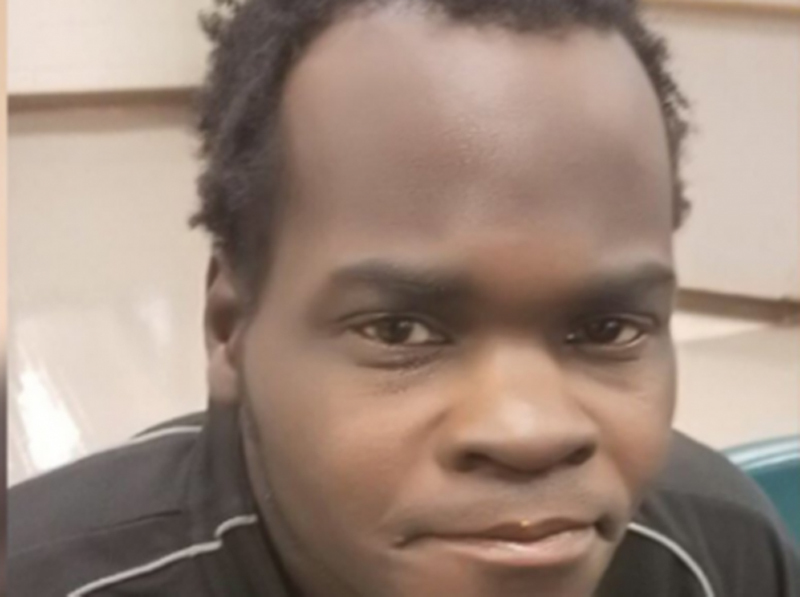 Thirty-nine-year-old Basil Eleby – not a Muslim and no relation to Basil Fomine – has been charged with first-degree arson and first-degree criminal damage to property. Additionally, Sophia Bruner – not a Muslim – and Barry Thomas – not a Muslim – have been charged with criminal trespass. The three had apparently gathered under the I-85 overpass to smoke crack. The fire burned fiber optic wire stored in PVC pipes under the bridge; the pipes had been there for perhaps a decade. By the time firefighters arrived on the scene, the fire was so intense they couldn’t get close enough to apply water. Moments after their arrival, the concrete pillars began to buckle and chunks of interstate began falling, giving firefighters just enough time to get out of the way before the entire structure collapsed. It will take months to repair and replace the damaged roadway, a task made more difficult due to the lack of support from the Federal government. “Chancellor Squirrelhead cut $946,000,000 from the Department of Transportation’s (DOT) FY2017 budget,” said a political scientist, speaking on condition of anonymity. “So there’s really no Federal money to spare to help with the I-85 reconstruction. As far as help from Congress goes, there’s been talk of help with repealing and replacing the damaged roadway, but the new overpass would have no guard rails and no painted lines for either lanes or shoulders. 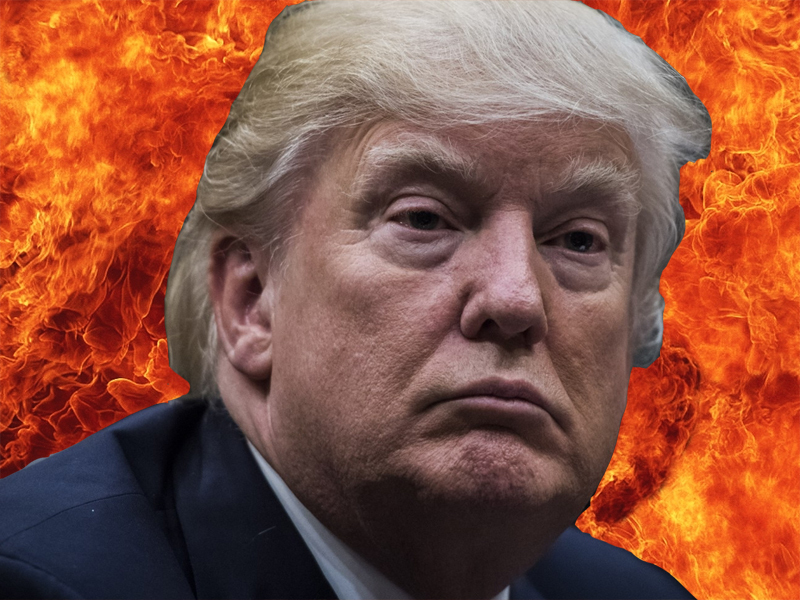 April 1, 2017 in Arson, Atlanta (GA), COTUS, Crack, Donald Trump (R-NY), DOT, Drug Addiction, Election 2016, Election 2016 - POTUS, GA, Hillary Clinton (D-NY), I-85, Jersey City (NJ), Liberty State Park, NJ, POTUS, Radical Islamic Terrorism, Sean Spicer, Substance Abuse, Terrorism and Crime.